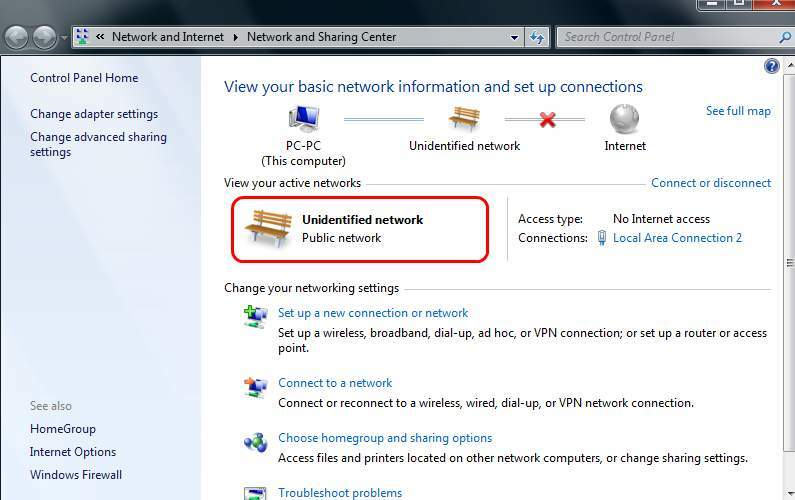 If you find that you can’t connect to your router, and you see “Unidentified network“, with the “No Internet access” on the right side in your network connection window, you’re not alone. Many Windows users are reporting this problem as well. But no worries, it’s possible to fix. In this article, you’ll find 5 fixes you can try. You don’t have to try them all; just work your way down until you find the one works for you. Note: If you currently don’t have network connection, try Offline scan to find the correct network card driver for you first. 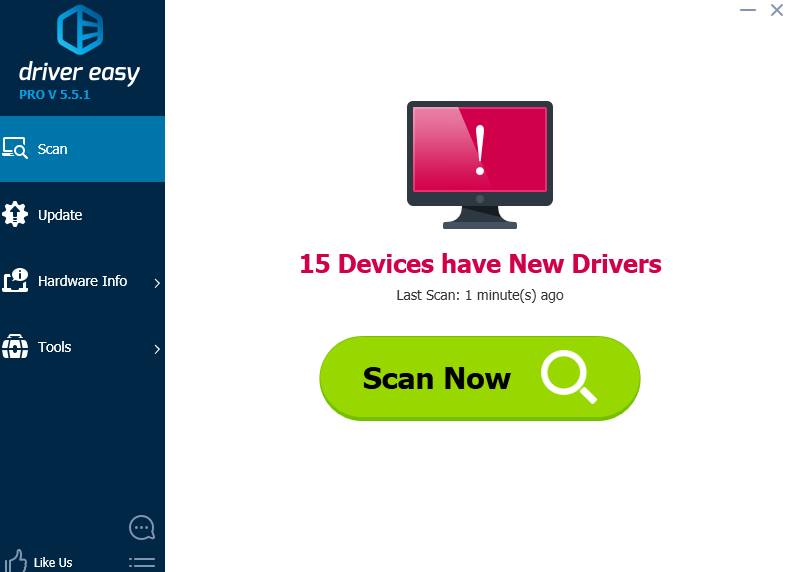 You can update network card driver via Device Manager and/or go to the manufacturer website and search for the correct driver by yourself. 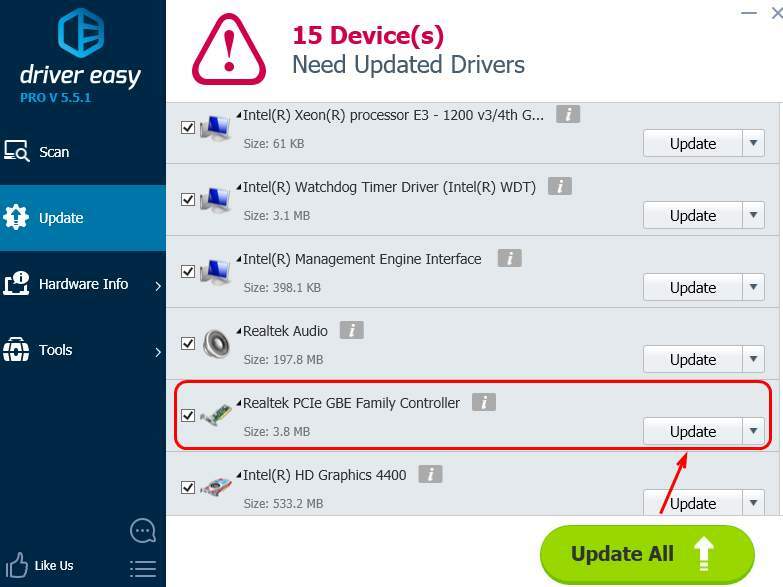 If you don’t have the time, patience or computer skills to update the network card driver manually, you can do it automatically with Driver Easy. 3) Click the Update button next to the network card device to automatically download and install the correct version of this driver (you can do this with the FREE version). You can try to set your current unidentified network to private or public location. 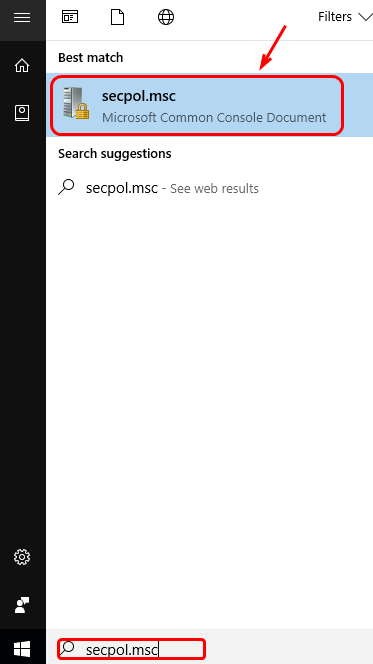 1) On your keyboard, press the Windows logo key and then type secpol.msc and click secpol.msc. 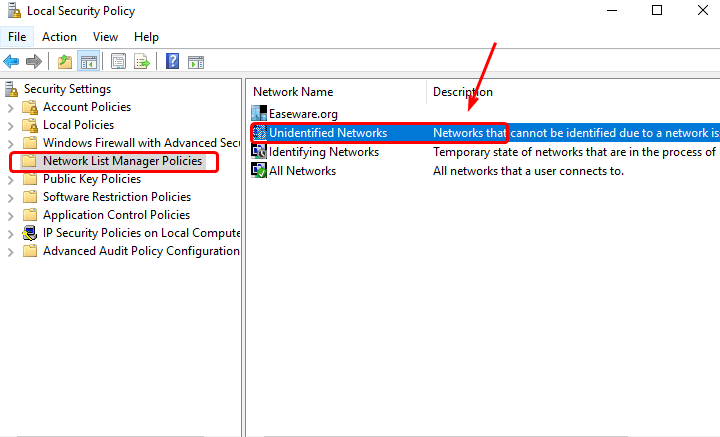 2) On the left side, click Network List Manager Policies. On the right side, double-click Unidentified Networks. 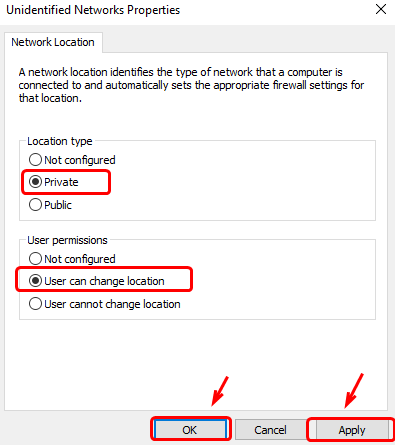 3) Change the Location type to Private and the User permissions to User can change location. 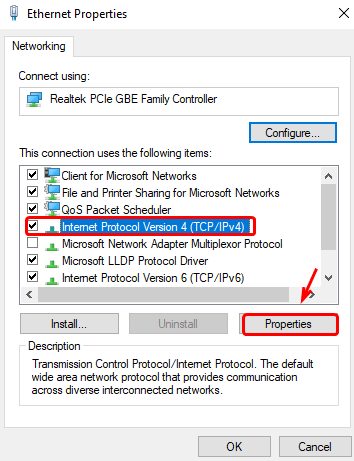 Then click Apply and OK.
1) Right-click the network adapter icon at the bottom right corner of your desktop and click Open Network and Sharing Center. 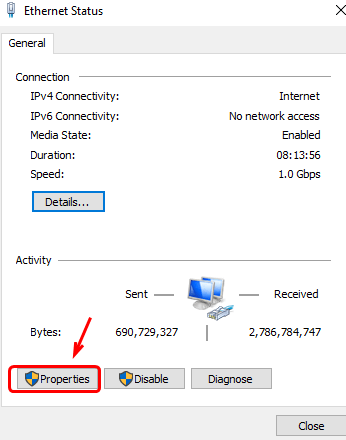 3) Click Internet Protocal Version 4(TCP/IPv4) and Properties. 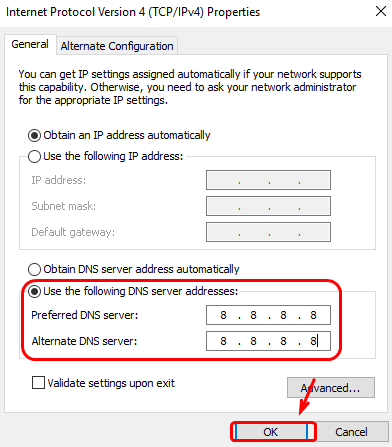 4) Click Use the following DNS server addresses and change the preferred and alternate DNS server addresses to 8.8.8.8. Click OK to save the changes. 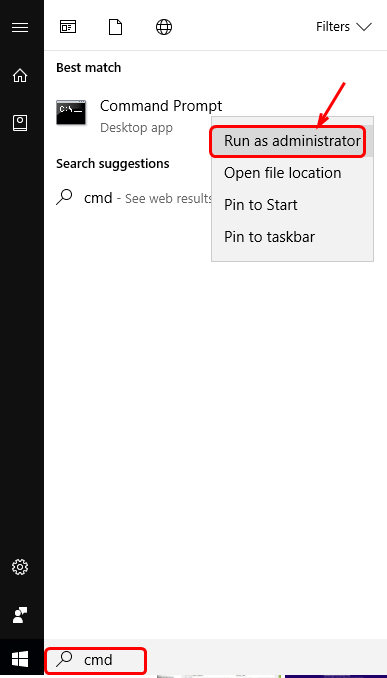 1) On your keyboard, press the Windows logo key and type cmd in the search box. Right-click Command Prompt and click Run as administrator. 2) Type in the following commands. Make sure that you make no typo and press the Enter key after each command. If all the other devices connecting the router are facing with similar problems, you may need to contact the router manufacturer to see if there are updated firmware for the device.